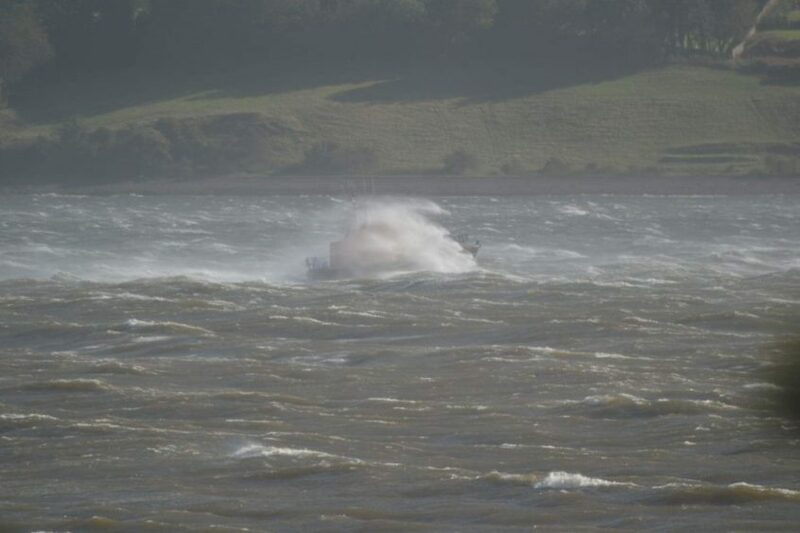 Photos from a busy day for the Broughty Ferry RNLI during Storm Ali. 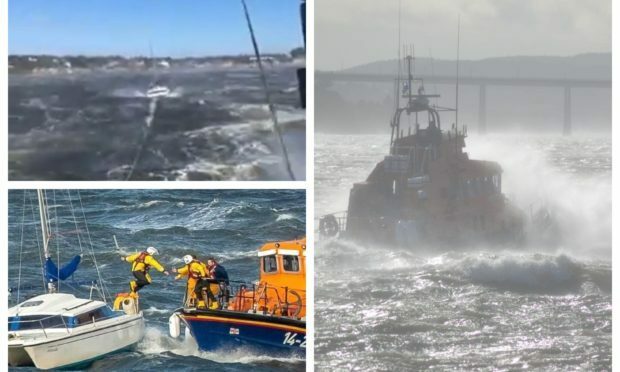 This footage shows the frightening conditions rescuers from Dundee had to battle during four call-outs to deal with stricken yachts on the Tay on Wednesday. Rescuers from the Broughty Ferry RNLI were kept busy as Storm Ali battered Tayside and Fife with winds in excess of 100mph, closing roads and causing widespread travel chaos. The in-shore lifeboat was first called out at 7.30am at the request of the UK Coastguard following reports of a vessel aground near the Royal Tay Yacht Club. The team secured the yacht to a nearby mooring. 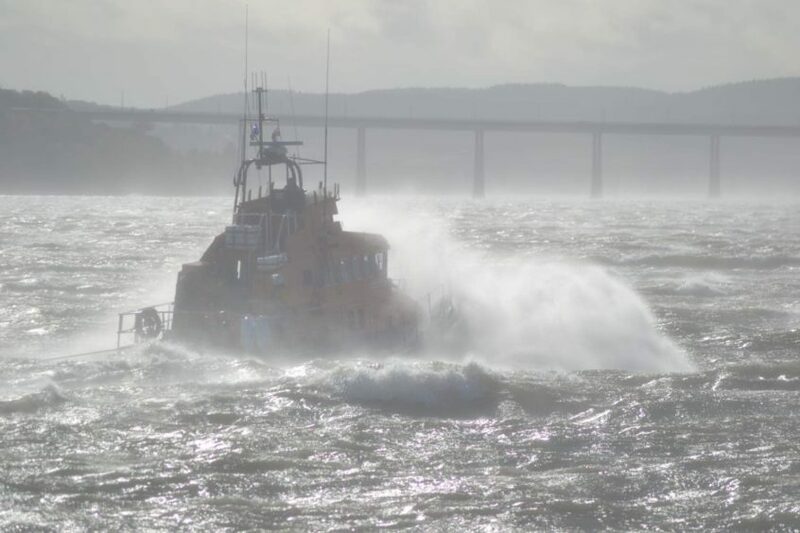 At 2.40pm the crew’s all-weather lifeboat was called back out to the Tay at the height of Storm Ali, facing 100mph gusts following reports of a person in the water recovering a vessel again near the yacht club. It was attached to a towline and transported in the face of furious waves to Wormit Yacht Club – allowing it to be attached to a mooring in “more sheltered waters”. The crew was then made aware of another stricken yacht, which was towed to Tayport Harbour. A spokesman for the lifeboat station said: “As the ALB (all-weather lifeboat) was returning to station it was made aware another yacht was near the shore. At 6.40pm both boats were launched amid concerns for people “trying to recover” a yacht aground near the Douglas Terrace promenade. 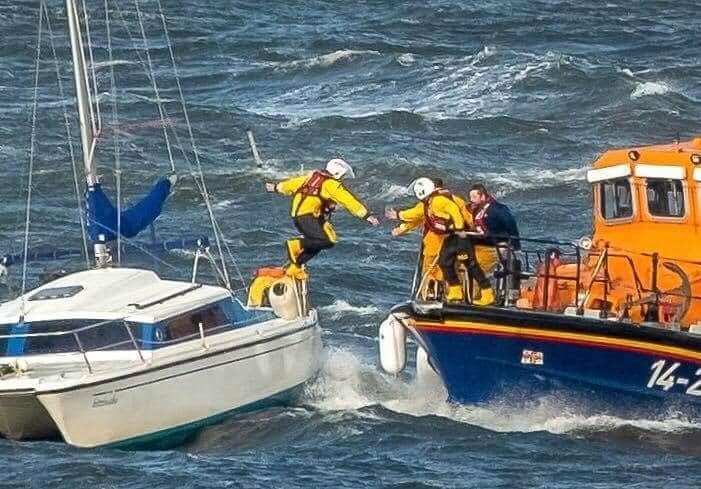 The spokesman added: “ILB (inshore lifeboat) crew attached a tow line to the stranded yacht and towed it to Broughty Ferry Harbour before returning to station refuelled and ready for service. “The ALB (all-weather boat) escorted both vessels from the casualty’s location to the harbour before returning to station.